The basketball courts at Holbrook Recreation Complex and at Glick Road will be closed Tuesday, October 3 so that crews can restripe the courts. Please stay off the courts until tape or signs are removed. Both courts will be back open on Wednesday, October 4. We're thrilled at the number of responses to the Muirfield-wide resident survey and thank those who have responded so far! Many residents have provided thoughtful comments that will help plan the future of Muirfield Village. If you have not responded yet, please take a few minutes now to answer this brief, anonymous survey. Your input is very valuable! Muirfield Association is pleased to pass on the following from the City of Dublin. To ensure pickup, have your leaves at the curb by 7 a.m. the Monday of each pick up week. Collections will take the entire week to complete in each zone. Rake leaves curbside to the grassy area at the curb. Never put leaf piles in the street. It is unsafe and can lead to flooding and other problems with the storm drains. Leaf piles will not kill grass! Although they may cause it to temporarily discolor, the grass will grow back, rich and green, in the spring. To prevent grass from discoloring, rake your leaves immediately before your scheduled pickup date. Residents can still bag leaves in biodegradable bags for weekly curbside yard waste pickup on weeks when the City crews are not doing leaf collection in their neighborhood/zone. Residents are reminded that leaf piles that are mixed with grass trimmings, branches, brush or other non-leaf content will not be collected through this service. Residents with branches, brush, etc. 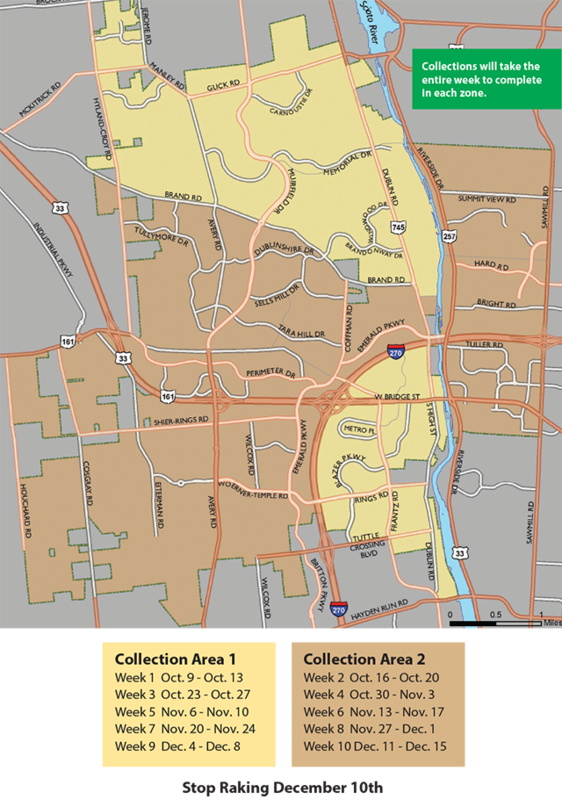 may have them collected through the curbside chipper program by calling Streets & Utilities’ Information Line at 614.410.4780 (24 hours a day) and scheduling a collection or make your request online. 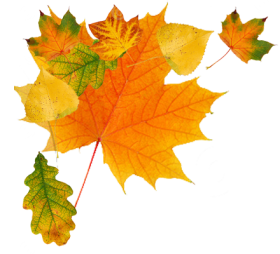 Residents can now utilize the City’s GPS-based LeafGo system to track leaf collection progress. Read more about the city's leaf collection program here. With the fall leaf season coming followed by snow in winter, it’s a good time to think about street parking in Muirfield. Nearly all streets in Muirfield Village are public streets, so the Association does not control street parking, but we are concerned for the safety of residents and residents' property. You can greatly reduce the risk of damage to vehicles by parking them in driveways instead of the street. Emergency vehicles can quickly and safely reach a person or property in distress. In these cases, every second counts. Neighbors can safely back out of their driveways without their view being blocked by vehicles on the street. The leaf truck, recycling and trash vehicles, and snowplows can get through easier if they don't have to dodge street-parked vehicles. For these reasons, please consider asking contractors and guests visiting your home to park in your driveway or at least not directly across from another driveway whenever possible. Your neighbors will thank you for your efforts to keep the streets as clear as possible. Nuisance vehicles, such as those parked in the same location on the street without being moved for a long period or those with expired tags, flat tires, or other obvious mechanical problems, should be reported to the police on their non-emergency number at 614-889-1112.